India bans import of foie gras; are Indian chefs happy? Foie Gras, which starred on menus in the country’s high-end European restaurants until now, is off them after a ban on its import. The culture phrase, “gloomy goose”, has just begun to make more sense. After all the government seems to have taken it to heart. At least the recent ban on the import of foie gras into the country, which came into effect on July 3, seems to indicate so. Otherwise known as liver pate, the product is a French delicacy and until very recently, starred on menus in the country’s high-end European restaurants, both stand-alones and in-hotel. The ban was brought about as a result of a complaint by UK-based activist group, Animal Equality, through its India chapter, protesting the harsh means through which the ingredient is sourced. While several countries such as Germany, Italy, England and Israel and the US state of California have banned the production of foie gras on grounds of animal cruelty, India may be the first country in the world to ban its import. France meanwhile, unabashedly, remains both the world’s largest producer and consumer of the luxury commodity. “The decision was taken by consensus after several inter-departmental meetings, and was made effective as soon as the notice went online on our website. The product will not be allowed to enter the Indian market anymore,” said a senior official at the Directorate General for Foreign Trade who didn’t want to be named. Figures of India’s consumption of the delicacy were unavailable but we the people consume a “significant” amount. Chefs and restaurateurs have been less inclined to cheer though. 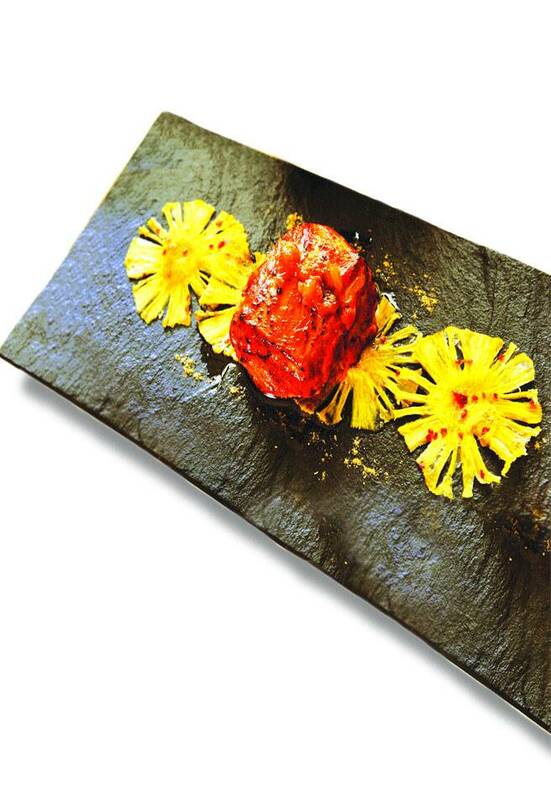 Indian Accent, the Capital’s most prized contemporary Indian restaurant, features the French delicacy in two dishes on its menu, the luscious Tandoori Foie Gras and the even more hedonistic Foie Gras Stuffed Galawati Kebab, a melange of meaty goodness that used to melt in one’s mouth like spilled ice-cream on a hot sidewalk. A moment of silence please. Sandeep Pawar, Executive Chef of the Metropolitan Hotel & Spa is of the opinion that now restaurants will probably look at other similar-tasting options. “While foie gras is not a part of our regular menus, like it is at the Taj or the Oberoi, we would serve it to guests who requested for it. Today, with people so well-travelled and knowledge about different dishes and ingredients, it was becoming quite popular. When it was unavailable we used to make a chicken liver porridge, which is similar to foie gras, if not as luxurious and smooth-tasting. That’s possibly what other restaurants and hotels will have do,” he says. That seems to be all one can do while mourning the loss of a food so delicious. We wish the utterly-butterly girl in polka dots leaps out at this one. Will it be a wild-goose chase? 1 Good news for air travellers - Your food just got a makeover!